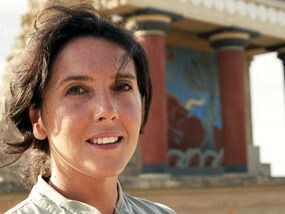 It is an honour to present this interview with Bettany Hughes, historian, author and broadcaster. Her work is not only compelling to watch, but also tackles issues historians have balked at or glossed over in the past, such as the role of women in classical societies, and their representation in art and literature across eras. Her radio series Amongst the Medici provided historiographical insights into biases affecting the prevailing romanticised view of this era - a factor often missing from Renaissance commentaries. 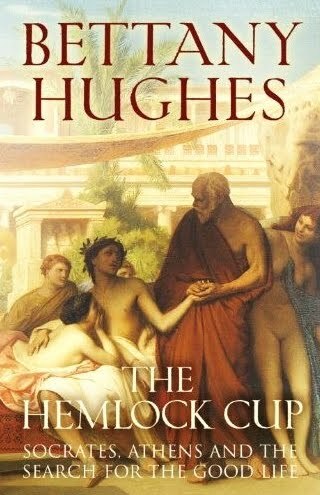 Her latest book, The Hemlock Cup - Socrates, Athens and the Search for the Good Life explores the far reaching influence of Socrates - whose unique mode of thought gave rise to a modern view of the world, and forms the basis of the scientific method which drives human endeavour to this day. I thought I would use this unique opportunity to ask Bettany about her new title and some of the broader issues addressed in her work. 3PP: You've mentioned that a King Tut documentary you saw at age 5 was a formative experience for you. Does this explain your dedication to presenting history to millions through film, radio and books? BH: There's no doubt that moment was seminal. I remember thinking, all those fairy tales, myths and legends I've heard....well some seem to be true and being aware that I was sitting and staring at the boy king who died a mysterious death and was buried entombed in gold. Writing this now I can remember the hold that story suddenly had over me. I even wrote my first 'book' about the experience. 3PP: As someone trained in the scientific method, I can firmly see Socrates' influence in my work on a daily basis. Do you think understanding the man is as important as his message? BH: I think we need to appreciate the humanity of the man, so that his message does not feel aloof, alien, out of reach. There are many for whom Socrates is a remote figure - and yet in his day he wandered through the streets of Athens talking to anyone who would listen to him, sharing his ideas with those who were ready to engage. In a sense I wanted to write this book to bring Socrates back onto the streets - where he lived out much of his life. 3PP: Your work in revealing the facts about historical women such as Helen of Troy and Hypatia was ground-breaking. Do you feel that great women in history are under or misrepresented in the public eye? BH: How long have you got! Women are 50% of the human race, and yet we certainly do not occupy 50% of human history. Although it can be harder to follow the train of women through time I think this is a worthwhile journey: we learn both about extraordinary characters from the past who have been neglected, forgotten or misrepresented - and in doing so we discover legion facts and ideas about human society itself. It seems to me self-evident that if you write women back in to history you paint a truer, fuller picture of the story of humanity. 3PP: The subtitle of your Helen of Troy book was "Goddess, Princess, Whore". This also reminded me of descriptions of Cleopatra VII. Is modern scholarship achieving any success in overcoming these objectified labels of great women in history? BH: The interesting thing is that some women played up to these labels - because it was all they had to work with. Women could never just get on with being, they always had to justify their position, their influence. Sometimes becoming super-charismatic (in the Greek sense, engaging with 'charis' - a grace which ignites desire of all kinds) was the only way they could survive. 3PP: I loved the segment in Helen of Troy where you read Sappho's account of Helen by firelight in Sparta (see clip below). Has Sappho's account been largely dismissed because it indicated Helen was a willing participant in her flight from Sparta? BH: No one has tried to read between the lines of Helen's story and its reception before I embarked on my 15 year journey to do so. It was almost as if academics were scared of seeming 'fluffy' for engaging with such a femme fatale (in fact one colleague admitted she kept her Helen studies quiet for years for precisely that reason) and commentators through time have wanted to keep her 'the world's desire' - without trying to get to the heart of her story. I'm glad you liked that sequence - reading Sappho by firelight in the Eastern Mediterranean - life doesn't get much better! 3PP: In your 2010 appearance on BBC Radio's Great Lives, you mentioned that a deeper exploration of Sappho is something you are savouring in your career. Have you begun this process? BH: I'm [presently] studying the relationship between Buddhism and Greek ideas...Sappho is next! 3PP: There is a long history of conflict between Asia Minor and its Western neighbours. Do you believe the Iliad and the story of Helen and Paris was a symbolic manifestation of this ongoing regional conflict? BH: I do indeed - although there has been as much collaboration as conflict through time. 3PP: In your Athens series - you highlight the stark realities of Athenian democracy - which excluded women and a significant number of the population. Has Athenian democracy been overly romanticised? BH: We all love the idea of 'Golden Ages' and 5th century Athens seems to fit that bill. There is a sense if society has achieved a golden age once, there is a chance we can reach those heady heights once again. But of course no society is perfect - and in a sense ithink we appreciate Athens MORE if we look at the struggles and challenges the city-state dealt with - not just its triumphs. 3PP: I really enjoyed your work on Byzantium Unearthed and The Moors - have the contributions of these societies in preserving the learning of antiquity been undervalued? BH: Absolutely! But I'm doing my best to rectify the situation! Thank you to Bettany Hughes for her precious time. The Hemlock Cup is now available in hardcover, paperback and kindle edition. An extended preview and related video featuring Bettany can be viewed at Amazon UK site. Bettany's fascinating exploration of the clues given about the identity of Atlantis in classical Greek literature is now showing on iPlayer for UK viewers, and YouTube for those outside this region. In June 2011, Bettany will also be one of the judges of the Orange Prize for Fiction, the only award for women authors of fiction in the UK. More information, including the shortlist of nominees is available at the award site. To keep track of Bettany's amazing efforts in print, film and radio visit her site. Great interview! I never would have thought of Sappho as a "fluffy" subject to study at all. Thanks for a very nice interview but has Bettany given equal time to Mrs. Socrates? Very nice interview. I especially liked your questions regarding women in history. I'll look forward to reading "The Hemlock Cup." @Heidenkind - I would venture to say that present interest in more accurate accounts of female figures in history is higher than previously, the immense popularity of Stacey Schiff's Cleopatra book demonstrated this. I very much look forward to Bettany's work on Sappho. @Frank - interestingly, the 3rd image I used above is an engraving from a 1607 Emblem book featuring Xanthippe, Socrates wife - who is of course featured in The Hemlock Cup. @M - Cheers for the feedback. I would recommend you track down Bettany's program on Hypatia of Alexandria, and the Rachel Weisz movie of the same topic - called 'Agora'. I think you would enjoy them - both are great explorations of the role of women in history.